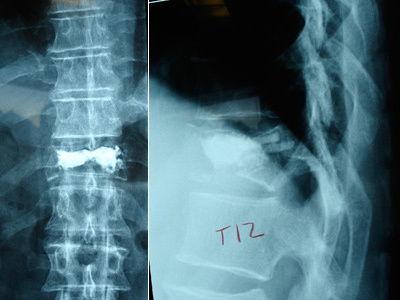 Vertebral compression fractures are common in older adults, therefore the medical treatment of the aging spine deserves special attention in view of the generally reduced health situation of the involved patients. General health status, expectations of the patient, and social environment are nonsurgical factors to be considered before undertaking surgery. There are alternatives to surgery that consist of conservative management. This includes bed rest, narcotic pain medications, and braces. Unfortunately, these modalities are typically associated with prolonged immobilization that may further exacerbate bone loss, fail to relieve symptoms, and usually, do not provide long-term functional improvement. In addition, in the best case scenario, there is no attempt to restore anatomy but rather freeze the fracture in the current “broken” position. This changes the biomechanics of the spine such that each fracture makes it approximately 5 times more likely to re-fracture. In certain cases where patients are in severe pain or the vertebrae are rapidly collapsing, minimally invasive procedures are considered without conservative treatment. 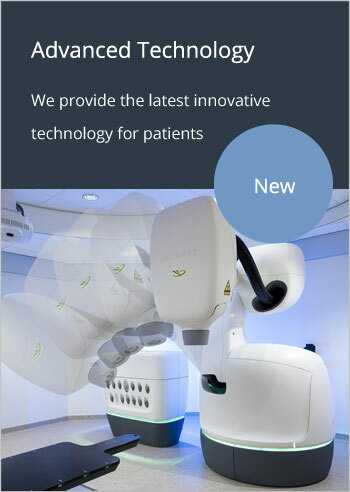 The advances in vertebral augmentation technology have been remarkable, offering most patients substantial resolution of their fracture pain with a high degree of safety. Clinical outcome studies demonstrate early and sustained pain relief, improved mobility and function, improved quality of life, and high patient satisfaction rates after vertebral augmentation procedures. Given the low rate of complications and the high rate of clinical success, minimally invasive surgical procedures are typically a better option compared to conservative care for the vast majority of patients. Vertebroplasty and kyphoplasty have been recently developed for their potential to provide immediate pain relief and stability with a minimally invasive surgical intervention. Both procedures involve injecting bone cement into the fracture. Physicians at Boulder Neurosurgical & Spine Associates (BNA) have extensive experience in using several vertebral augmentation techniques and have literally “written the book” on the development of some of these techniques and approaches. Figures. Vertebral compression fracture at L3 (MRI scan) and Intraoperative images of kyphoplasty procedure. 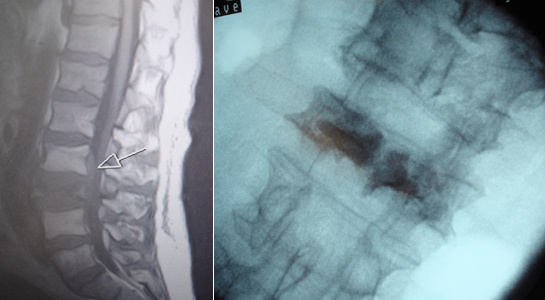 Balloon Kyphoplasty (Medtronic, Memphis, TN) is a minimally invasive surgical treatment option that utilizes an inflatable bone tamp to reduce the fracture, restore the anatomical relationship, and provide stability to the spine. The entire surgery typically lasts less than an hour and involves the percutaneous placement of cannula into the vertebral body through the pedicles. An Inflatable Bone Tamp (or balloon) is inserted through the cannula into the vertebral body and inflated while controlling the pressure. The balloon compacts cancellous bone and creates the void, which is filled with bone cement. At Boulder Neurosurgical & Spine Associates we further advance these techniques by enhancing them using image guidance. Intraoperative three-dimensional fluoroscopy-based computerized tomography guidance for percutaneous Kyphoplasty was developed and first described in the literature by Dr. Villavicencio (Villavicencio AT, Burneikiene S, Bulsara KR, Thramann J. Intraoperative Three-dimensional Fluoro-based CT Guidance for Percutaneous Kyphoplasty. Neurosurgical Focus 18(3):E3, pp. 1-7, March 2005).